Good things can come in small packages. The Alpe 2.0 packs superior performance and durability into a frame that is great for those seeking a smaller fit. The Alpe 2.0 is an excellent choice for running, cycling, and other high intensity outdoor sports. A jack of all trades, the Marzen takes everything in stride. No matter what sport you choose, the Marzen’s classic lines will bring the perfect blend of style and performance. Brixen offers full, lightweight coverage. 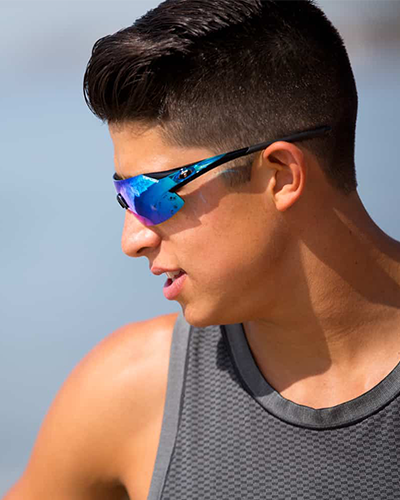 The frameless design is perfect for sports where lens fog can impair vision, making it ideal for the athlete looking to perform to the best of their abilities.